Created to homologate Porsche’s 911 GT1 contender, the street version, sometimes called ‘Strassenversion’, is one of the most fierce and rare 911s. Apart from the sparse interior, little differentiates the GT1 from the full-on, race-ready counterpart. The homologation regulations demanded that the car complied to both the rules of the road and track. This included comprehensive European regulations which created a golden age of GT1 racing. Apparent from the front and rear lights, the GT1 shares many components with its series production counterparts, but puts them together in a more competitive way. Gone is the rear engine layout which isn’t suitable for prototype GT racing, the GT1’s turbocharged flat-six engine sits in front of the rear axle and is supported by chassis tubes instead of the typical 911 rear sub frame. Sitting behind the engine is a longitudinal six-speed transmission which the rear suspension attaches directly onto. The GT1 was based on the 993 body shell, but with modified exterior panels and a substantial roll-cage that also supported the engine, gearbox and suspension. This helped Porsche avoid necessary crash testing and reinforced ties to the production cars. But in almost every way, the GT1 was purpose-built race car. It had a carbon fiber body, full width wing, a tiny cockpit and a maximum power of 600bhp was developed at 7,200rpm. Compared to the GT1s which raced Lemans, the road-going version had only slight modifications. These changes include a higher ride height, softer suspension, road-going gear ratios and steel brakes which replace the race car’s carbon discs. The engine was only slightly detuned from the race version’s and a complete interior included sport seats and a full dashboard from the 993 line. 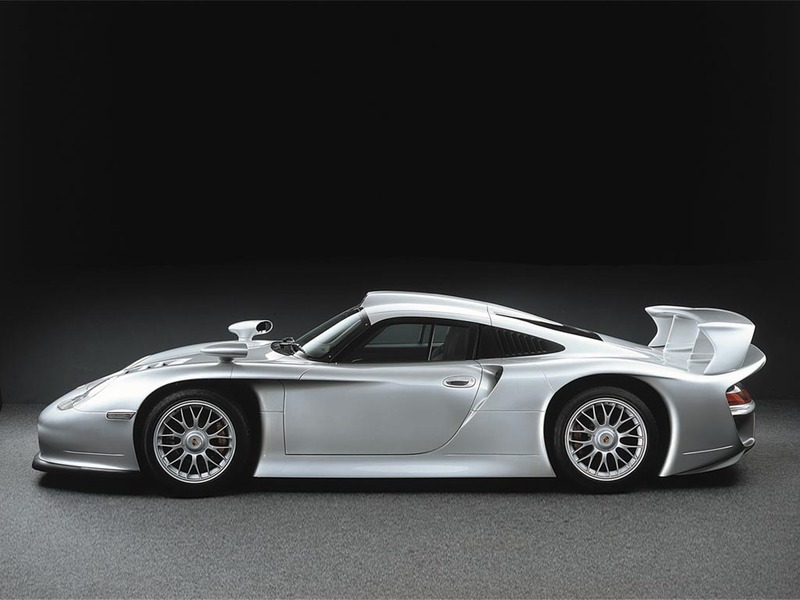 While the first version of the GT1 debuted at the 1996 season, Porsche only produced a single homologation car. The following year, the ‘Evo’ version was released with new kidney-shaped headlights and improved aerodynamics. This was good enough for Porsche to build twenty examples for select customers. These lucky few owned one of the most radical and unforgiving road-going supercars of their time. Our feature car, chassis WPOZZZ992WS396005 was offered at Bonhams 2003 sale in Monaco. With only 4,400km from new, it sold for 580,000 Euros plus Premium and tax.